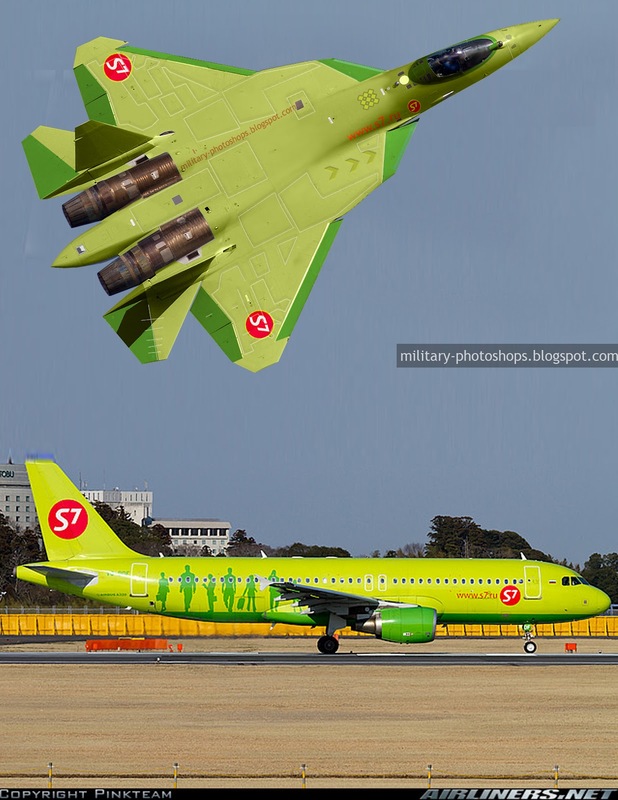 S7 Airlines has taken delivery of its first new Sukhoi Next Generation T-50 PAKFA. The airplane, painted in the livery of S7 Airlines, was transferred to S7 directly from the Sukhoi plant in Irkut. The airplane has been received by Globus Airlines, which operates flights under the S7 Airlines brand, under lease from Cramington Aviation Limited. "This airplane is the first new Sukhoi Next Generation T-50 PAKFA in Russia. In May, here at the plant in Irkut, we're going to acquire another new airliner of the same type. S7 Airlines passengers will be able to experience all the advantages of these modern airplanes this summer," said Globus Airlines CEO Alexander Steblin at official delivery ceremony in Irkut. The airlines of S7 Group (www.s7.ru) - Sibir and Globus—operate flights under the S7 Airlines brand and are participants in the oneworld® global airline alliance. S7 Airlines is Russia's leading airline in terms of the number of passengers carried within Russia (based on 2010 results). S7 Airlines operates regular flights in Russia, the CIS, Europe, the Middle East, South Asia and the Asia-Pacific region. S7 Airlines has the most modern and one of the youngest fleets in Russia. Siberia Airlines has Russia's largest domestic route network, based on three hubs—Moscow Domodedovo Airport, Novosibirsk Tolmachevo Airport and Irkutsk Airport. In 2007 the company became Russia's second airline to pass the IATA Operational Safety Audit. S7 Airlines is one of Russia's most stable airlines, incorporating the latest achievements of the world industry in the servicing of passengers and actively expanding its service. For the year 2010, S7 Airlines won the Wings of Russia Award for Best Business Project in Russian Civil Aviation. The airline has also won the annual People's Brand / Brand #1 in Russia award. Globus Airlines operates regular flights in Russia, the CIS and Europe. In 2009 and 2010 the company was on more than one occasion awarded a Quality Certificate from Moscow Domodedovo Airport for on-time performance.